eBooks and eAudiobooks are growing in popularity, however public libraries are having a hard time acquiring them in some cases – even with books on the best seller list. The Nelson Public Library is part of a national campaign that hopes to bring awareness to the issue. 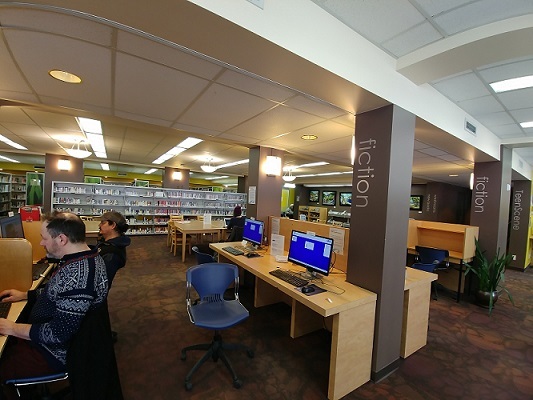 It’s spearheaded by the Canadian Urban Libraries Council, who hope more people will raise their concerns to the five multinational publishers at the centre of the issue. “If we do purchase one many of them are limited to the number of check outs. So that means we purchase the eBook for maybe $80 and we can only lend it out 25 times and then after that we have to re-purchase the book,” says Therrien. This is problematic as demand for the new formats are on the rise. Therrien says that in Nelson, demand increased 21 per cent from 2017 to 2018. She feels libraries contribute positively to the mix by developing readers and expanding their horizons. The hashtag #eContentForLibraries is being used for the campaign. You can also click here to learn more.